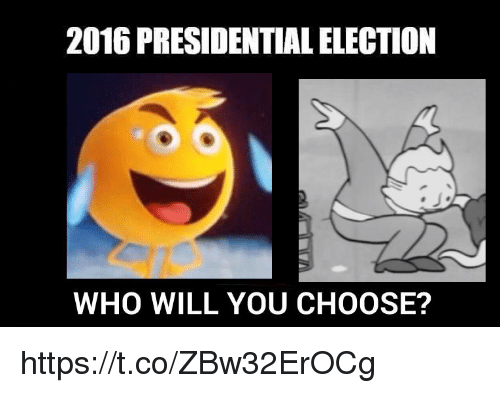 Who you got in 2016? 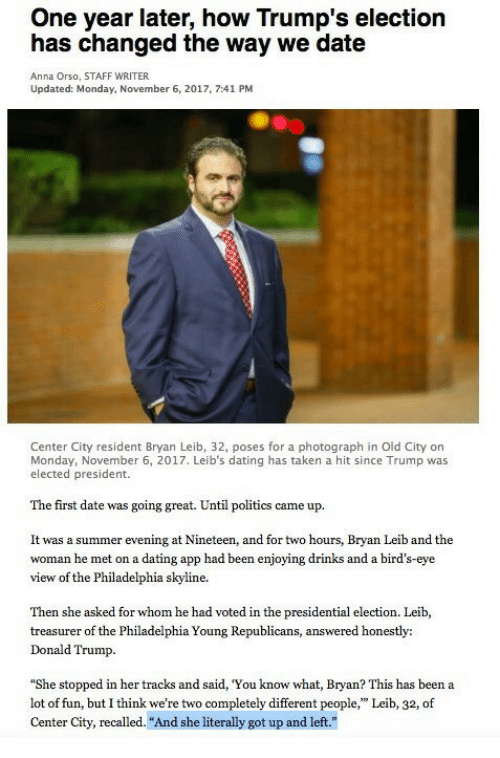 Anna, Dating, and Donald Trump: One year later, how Trump's election has changed the way we date Anna Orso, STAFF WRITER Updated: Monday, November 6, 2017, 7:41 PM Center City resident Bryan Leib, 32, poses for a photograph in Old City on Monday, November 6, 2017. 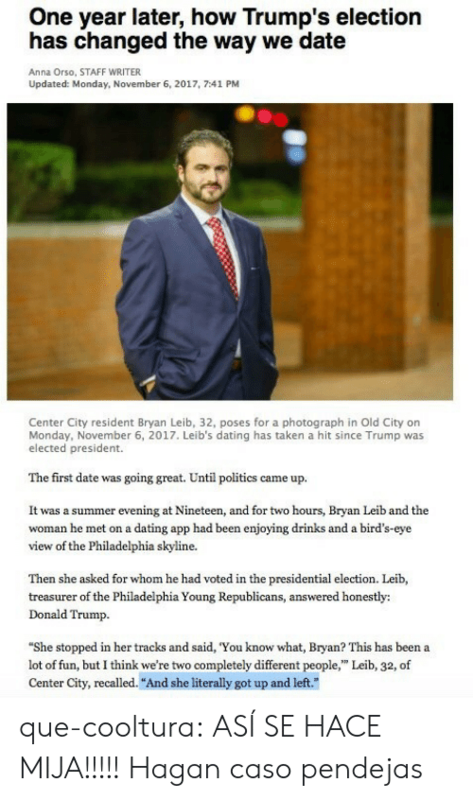 Leib's dating has taken a hit since Trump was elected president. The first date was going great. 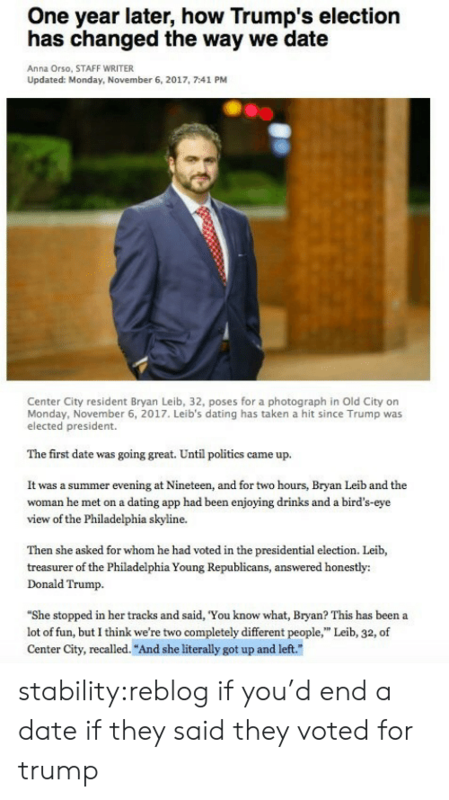 Until politics came up It was a summer evening at Nineteen, and for two hours, Bryan Leib and the woman he met on a dating app had been enjoying drinks and a bird's-eye view of the Philadelphia skyline. 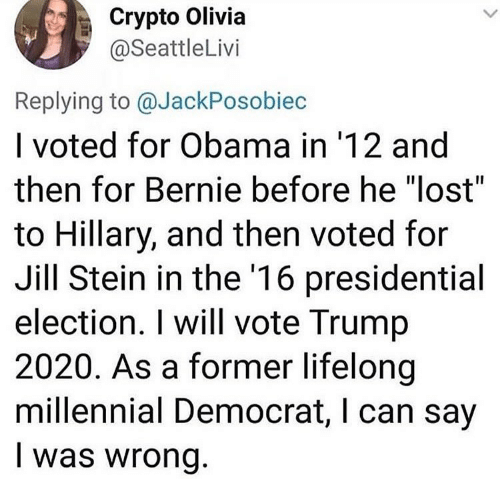 Then she asked for whom he had voted in the presidential election. Leib, treasurer of the Philadelphia Young Republicans, answered honestly: Donald Trump. "She stopped in her tracks and said, 'You know what, Bryan? This has been a lot of fun, but I think we're two completely different people," Leib, 32, of Center City, recalled. "And she literally got up and left." Memes, Presidential Election, and Prison: Photo by Sean Rayford/Getty lmages Former National Security Agency contractor Reality Winner on Thursday was sentenced to more than five years in prison after pleading guilty to leaking a classified report with information on Russia’s involvement in the 2016 presidential election. Jail, Memes, and Money: U.S. NEWS MANAFORT TRIAL July 31 |The first trial of former Trump campaign chairman, Paul Manafort, has begun and is expected to last three weeks. The trial of Paul Manafort, former Trump campaign chairman, began Tuesday. Manafort was charged with bank fraud, tax evasion and conspiracy after investigation by special counsel Robert Mueller. The Mueller investigation was focused on Russian interference in the 2016 U.S. presidential election, however, this trial is not related to alleged Russian meddling. The trial is expected to last approximately three weeks. ___ On June 15th Manafort was sent to jail to await his trial on allegations of witness tampering. Manafort faces a second trial on charges of failing to register as a foreign agent and money laundering set to begin on September 17th in Washington D.C.
Memes, News, and Presidential Election: U.S. NEWS TRUMP PUTIN SUMMIT Jun 27 | A meeting between President Trump and Russian President Vladimir Putin has been scheduleg Russian officials confirmed that a meeting between President Trump and Russian President Vladimir Putin has been scheduled. The summit is expected to be held in mid-July and will take place somewhere other than in either nation. U.S. national security advisor John Bolton met with Putin on June 27th to discuss U.S.-Russia relations, “very briefly” addressing the allegations of Russian interference in the 2016 U.S. presidential election. ___ “Russia never sought confrontation, and I hope that today we will be able to talk about what we can do from both sides in order to restore full-fledged relations on the foundation of equality and of respect for each other’s interests,” Putin said at the meeting Wednesday. 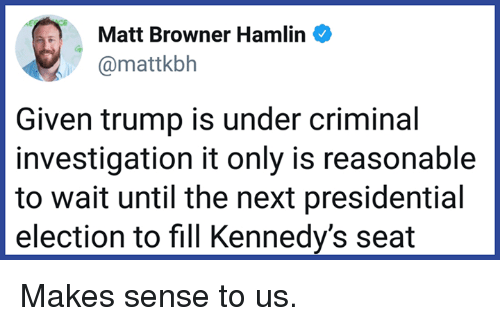 Memes, Presidential Election, and Trump: Matt Browner Hamlin @mattkbh Given trump is under criminal investigation it only is reasonable to wait until the next presidential election to fill Kennedy's seat Makes sense to us. 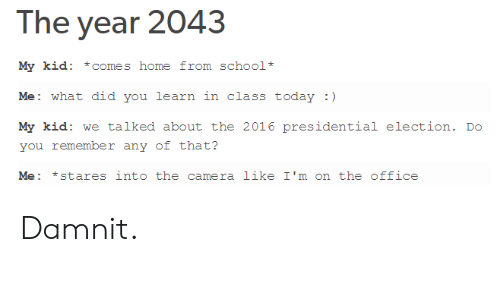 Presidential Election, School, and Camera: The year 2043 My kid: comes home from school Me: what did you learn in class today :) My kid: we talked about the 2016 presidential election. 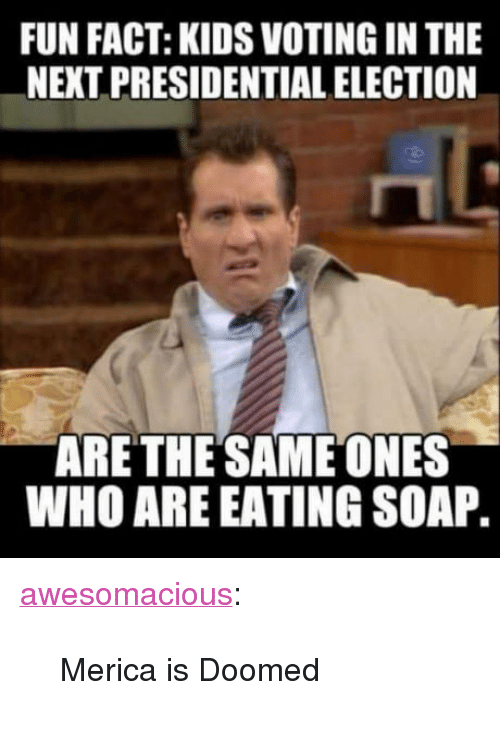 Do you remember any of that? Me: *stares int。the camera like I'm on the。ffice Damnit. 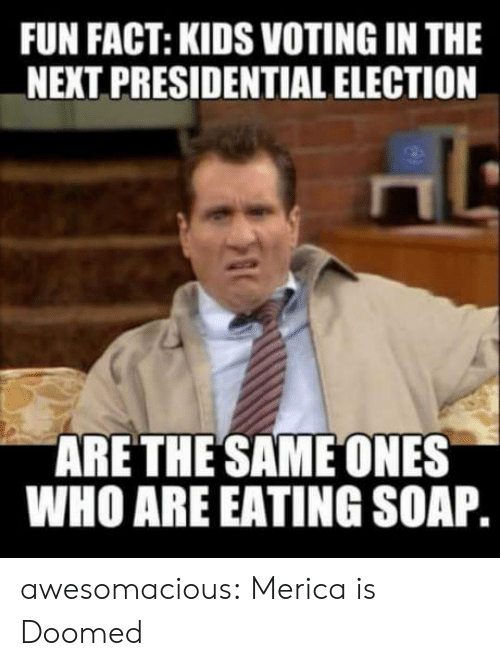 Memes, News, and Presidential Election: (AP Photo/Manuel Balce Ceneta) FOX NEWS channe I Donald J. Trump @realDonaldTrump Russia started their anti-US campaign in 2014, long before I announced that I would run for President. 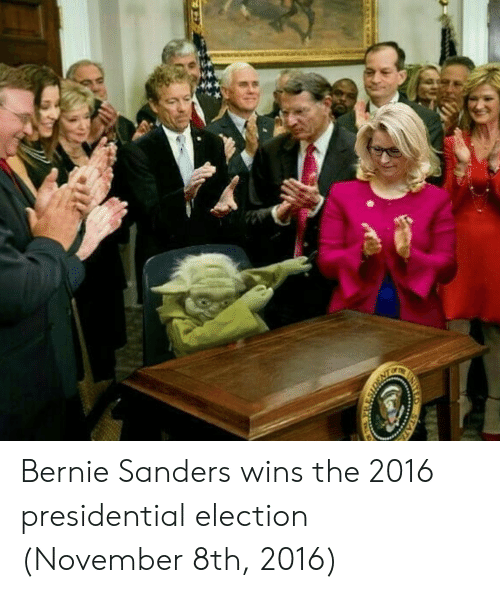 The results of the election were not impacted. 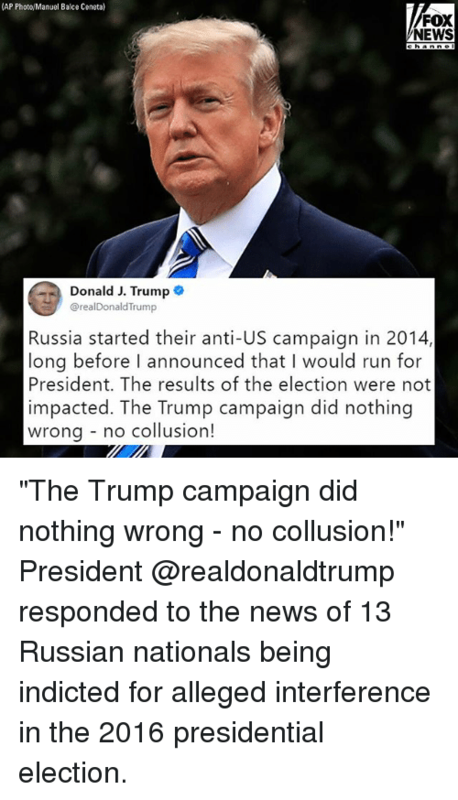 The Trump campaign did nothing wrona - no collusion! 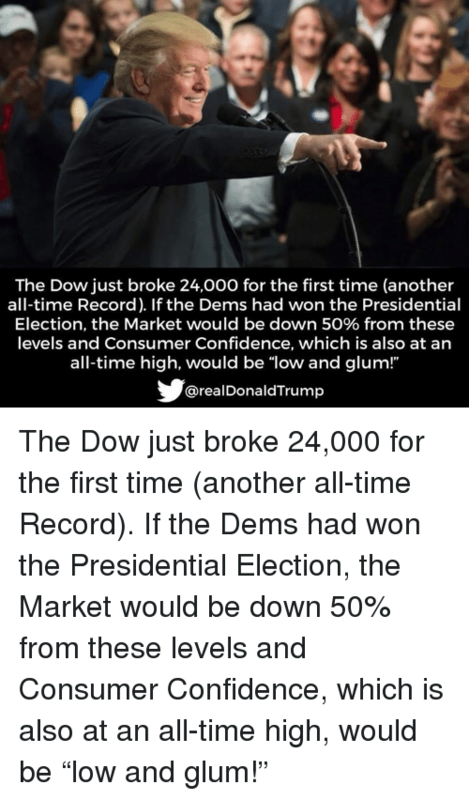 "The Trump campaign did nothing wrong - no collusion!" President @realdonaldtrump responded to the news of 13 Russian nationals being indicted for alleged interference in the 2016 presidential election. 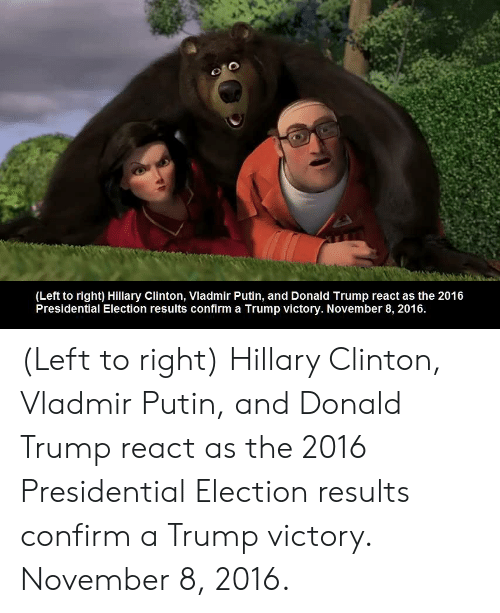 Donald Trump, Hillary Clinton, and Presidential Election: (Left to right) Hillary Clinton, Vladmir Putin, and Donald Trump react as the 2016 Presidential Election results confirm a Trump victory. 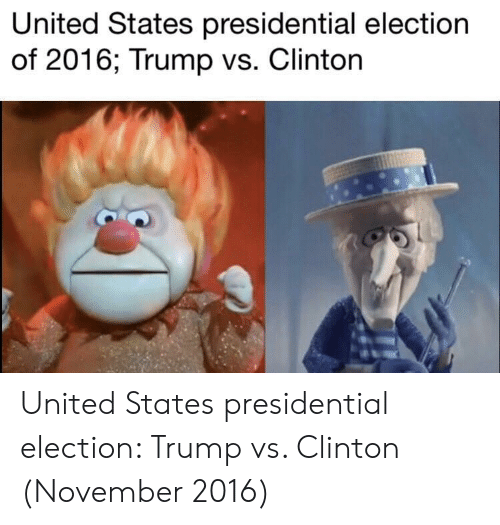 November 8, 2016 (Left to right) Hillary Clinton, Vladmir Putin, and Donald Trump react as the 2016 Presidential Election results confirm a Trump victory. November 8, 2016. Computers, Google, and Ironic: jesssssSS reminder: this woman leaked proof that Russians hacked into voting machine software, and they put her in jail The Vancouver Sun@VancouverSun Why do millennials keep leaking government secrets? ebx.sh/2ragGeK simonalkenmayer: memor-somnis: weavemama: fuggles: weavemama: she should have been rewarded. Y'all got sources? yeah so more information about this woman who leaked important information pertaining russia’s involvement in the election: Her name is “Reality Leigh Winner” and she was a NSA Contractor. She passed a top secret NSA document to a news source (an article from The Intercept) that contains information about a Russian cyber-attack with one voting machine DAYS before the 2016 presidential election. This is considered the most detailed piece of proof regarding Russia’s interference with the elections to date. Here’s how the NSA document described how the Russians did the hacking: “As described by the classified NSA report, the Russian plan was simple: pose as an e-voting vendor and trick local government employees into opening Microsoft Word documents invisibly tainted with potent malware that could give hackers full control over the infected computers. But in order to dupe the local officials, the hackers needed access to an election software vendor’s internal systems to put together a convincing disguise. So on August 24, 2016, the Russian hackers sent spoofed emails purporting to be from Google to employees of an unnamed U.S. election software company, according to the NSA report. Although the document does not directly identify the company in question, it contains references to a product made by VR Systems, a Florida-based vendor of electronic voting services and equipment whose products are used in eight states. The spear-phishing email contained a link directing the employees to a malicious, faux-Google website that would request their login credentials and then hand them over to the hackers. The NSA identified seven “potential victims” at the company. While malicious emails targeting three of the potential victims were rejected by an email server, at least one of the employee accounts was likely compromised, the agency concluded. The NSA notes in its report that it is “unknown whether the aforementioned spear-phishing deployment successfully compromised all the intended victims, and what potential data from the victim could have been exfiltrated.” So instead of having Trump and his entire party removed, they gon throw home girl in jail and try to act like none of this happened. Her name, Reality Winner, is ironic in this context. Assassination, Bruce Jenner, and Disappointed: The Boondocks' Predicts An Oprah Winfrey Presidency In 2006 Episode "Return Of The King" 13 @balleralert A US. TIMES NOVEMBER 8,2020 Oprah Winfrey Elected Presidem ‘The Boondocks’ Predicts An OprahWinfrey Presidency In 2006 Episode “Return Of The King” – blogged by @MsJennyb ⠀⠀⠀⠀⠀⠀⠀ ⠀⠀⠀⠀⠀⠀⠀ Like many of the craziest-biggest moments in history, an Oprah2020 campaign was predicted in an episode of an adult cartoon series. From the prediction of Trump’s presidential campaign in ‘The Simpsons’ to Bruce Jenner’s transformation in ‘Family Guy,’ adult animated cartoons have been on point for the last several years. ⠀⠀⠀⠀⠀⠀⠀ ⠀⠀⠀⠀⠀⠀⠀ Now, amid the talk of Oprah’s potential presidential campaign, a connection between this morning’s headlines and a scene from a 2006 episode of Adult Swim’s ‘The Boondocks’ has surfaced. Just twelve years ago, the show predicted a Winfrey Presidency with a newspaper that read, “November 8, 2020. Oprah Winfrey Elected President.” ⠀⠀⠀⠀⠀⠀⠀ ⠀⠀⠀⠀⠀⠀⠀ In the episode, which is the 9th of the first season, Huey Freeman tells an alternate version of Martin Luther King Jr.’s assassination. Titled, “Return of the King”, Freeman says instead of being killed, King slips into a coma for 32 years. 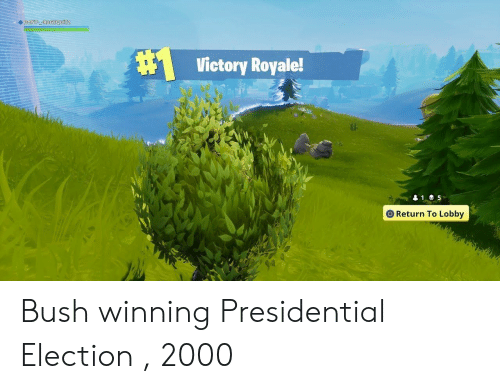 In 2000, he wakes up and heads to vote in the presidential election but is turned away. ⠀⠀⠀⠀⠀⠀⠀ ⠀⠀⠀⠀⠀⠀⠀ As the episode continued, Huey showed King how the culture plummeted after his shooting, as everyone was waiting for him to come back. So, Huey convinced him to reach out to the public again. But, disappointed in their ignorance, King set the record straight, just before revealing that he was leaving the country. That was the last time Huey saw King. 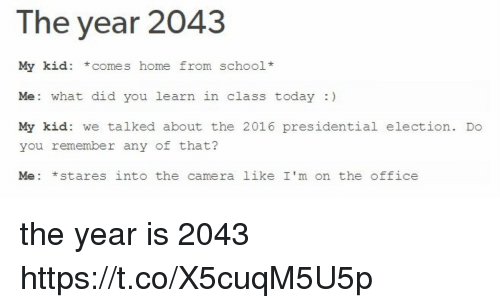 At the end of the episode, the newspaper revealed that the year was now 2020. King had died at the age of 91 and Oprah has been elected President. Computers, Google, and Ironic: jesssssSS reminder: this woman leaked proof that Russians hacked into voting machine software, and they put her in jail The Vancouver Sun@VancouverSun Why do millennials keep leaking government secrets? 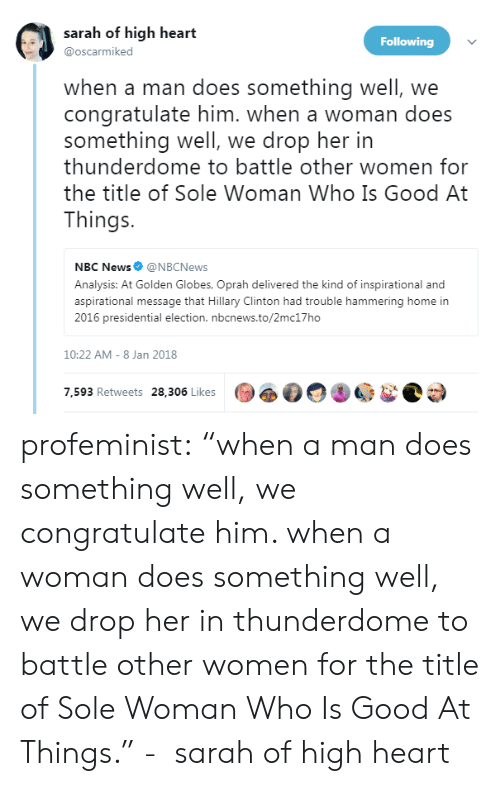 ebx.sh/2ragGeK lunishel: thefingerfuckingfemalefury: geekandmisandry: simonalkenmayer: memor-somnis: weavemama: fuggles: weavemama: she should have been rewarded. Y'all got sources? yeah so more information about this woman who leaked important information pertaining russia’s involvement in the election: Her name is “Reality Leigh Winner” and she was a NSA Contractor. She passed a top secret NSA document to a news source (an article from The Intercept) that contains information about a Russian cyber-attack with one voting machine DAYS before the 2016 presidential election. 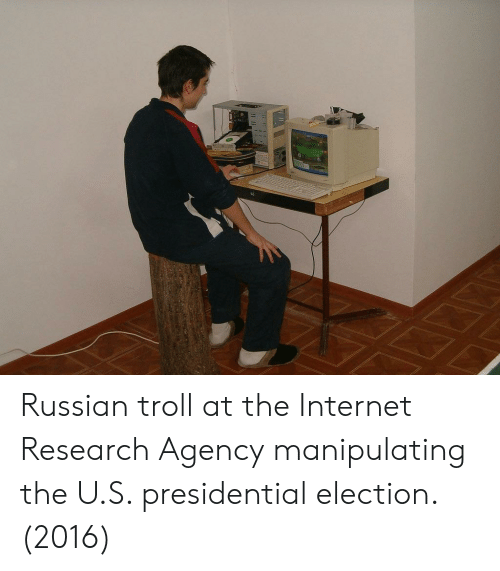 This is considered the most detailed piece of proof regarding Russia’s interference with the elections to date. Here’s how the NSA document described how the Russians did the hacking: “As described by the classified NSA report, the Russian plan was simple: pose as an e-voting vendor and trick local government employees into opening Microsoft Word documents invisibly tainted with potent malware that could give hackers full control over the infected computers. But in order to dupe the local officials, the hackers needed access to an election software vendor’s internal systems to put together a convincing disguise. So on August 24, 2016, the Russian hackers sent spoofed emails purporting to be from Google to employees of an unnamed U.S. election software company, according to the NSA report. Although the document does not directly identify the company in question, it contains references to a product made by VR Systems, a Florida-based vendor of electronic voting services and equipment whose products are used in eight states. The spear-phishing email contained a link directing the employees to a malicious, faux-Google website that would request their login credentials and then hand them over to the hackers. The NSA identified seven “potential victims” at the company. While malicious emails targeting three of the potential victims were rejected by an email server, at least one of the employee accounts was likely compromised, the agency concluded. The NSA notes in its report that it is “unknown whether the aforementioned spear-phishing deployment successfully compromised all the intended victims, and what potential data from the victim could have been exfiltrated.” So instead of having Trump and his entire party removed, they gon throw home girl in jail and try to act like none of this happened. 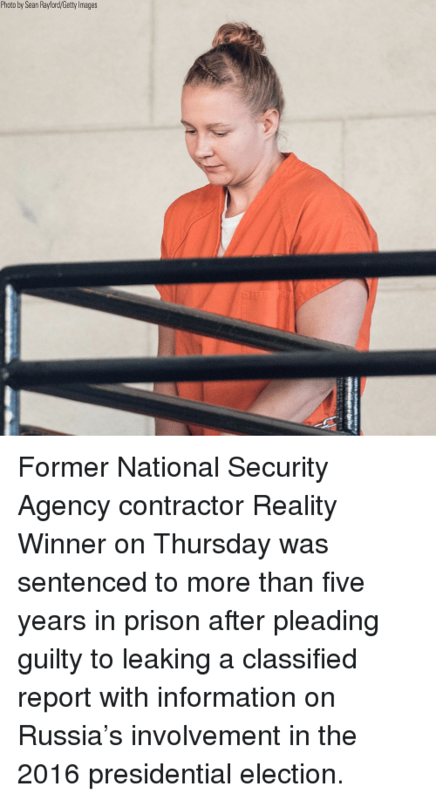 Her name, Reality Winner, is ironic in this context. Why do millennials keep leaking government secrets? Because they are brave and information matters. Seriously, why the HELL is this woman in prison for doing the right thing? 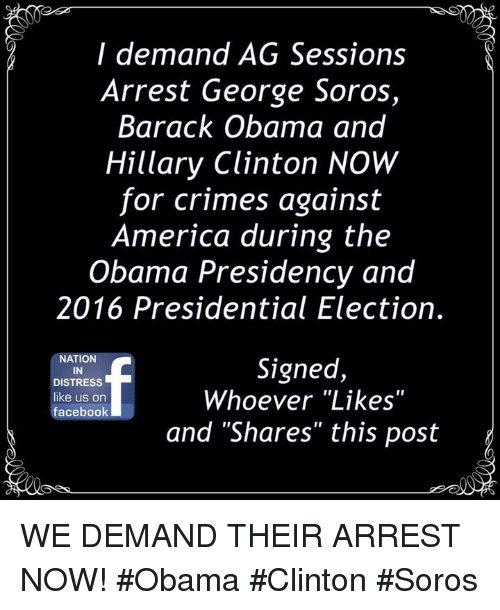 Because the fuckheads in power want to stay in power. Computers, Google, and Ironic: jesssssSS my2k reminder: this woman leaked proof that Russians hacked into voting machine software, and they put her in jail The Vancouver Sun@VancouverSun Why do millennials keep leaking government secrets? ebx.sh/2ragGeK simonalkenmayer: memor-somnis: weavemama: fuggles: weavemama: she should have been rewarded. Y'all got sources? yeah so more information about this woman who leaked important information pertaining russia’s involvement in the election: Her name is “Reality Leigh Winner” and she was a NSA Contractor. 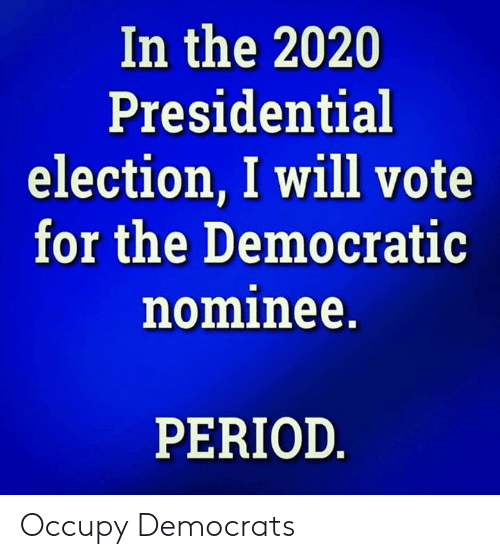 She passed a top secret NSA document to a news source (an article from The Intercept) that contains information about a Russian cyber-attack with one voting machine DAYS before the 2016 presidential election. 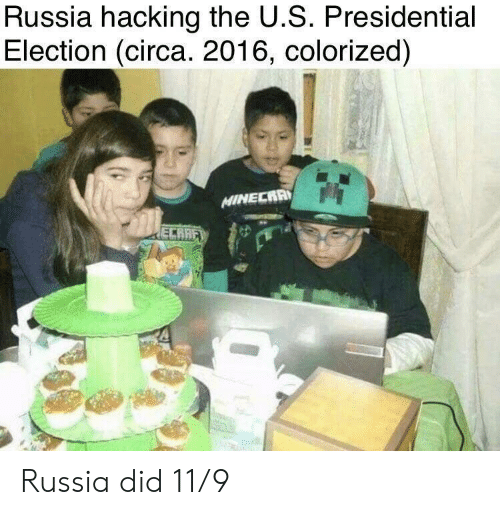 This is considered the most detailed piece of proof regarding Russia’s interference with the elections to date. Here’s how the NSA document described how the Russians did the hacking: “As described by the classified NSA report, the Russian plan was simple: pose as an e-voting vendor and trick local government employees into opening Microsoft Word documents invisibly tainted with potent malware that could give hackers full control over the infected computers. But in order to dupe the local officials, the hackers needed access to an election software vendor’s internal systems to put together a convincing disguise. So on August 24, 2016, the Russian hackers sent spoofed emails purporting to be from Google to employees of an unnamed U.S. election software company, according to the NSA report. 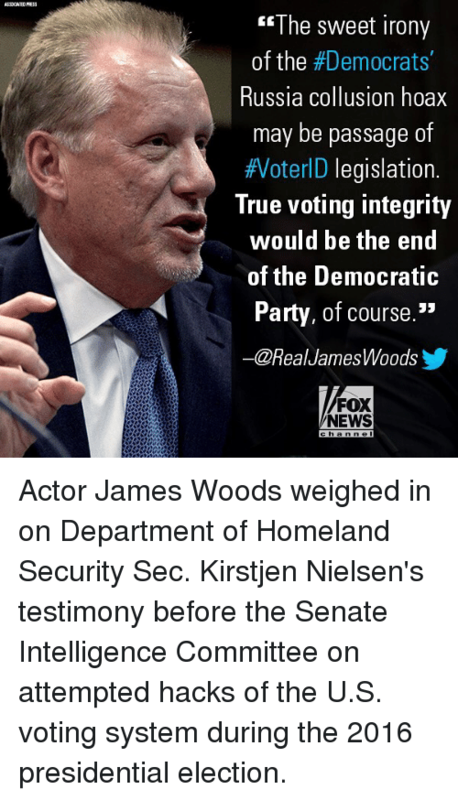 Although the document does not directly identify the company in question, it contains references to a product made by VR Systems, a Florida-based vendor of electronic voting services and equipment whose products are used in eight states. The spear-phishing email contained a link directing the employees to a malicious, faux-Google website that would request their login credentials and then hand them over to the hackers. The NSA identified seven “potential victims” at the company. While malicious emails targeting three of the potential victims were rejected by an email server, at least one of the employee accounts was likely compromised, the agency concluded. The NSA notes in its report that it is “unknown whether the aforementioned spear-phishing deployment successfully compromised all the intended victims, and what potential data from the victim could have been exfiltrated.” So instead of having Trump and his entire party removed, they gon throw home girl in jail and try to act like none of this happened. Her name, Reality Winner, is ironic in this context. 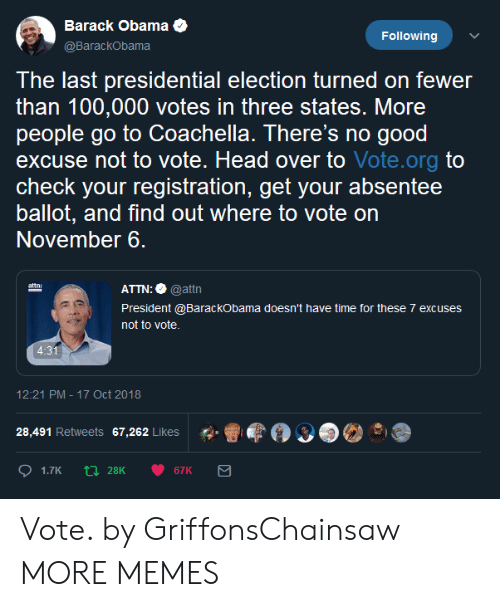 Facts, Obama, and Presidential Election: 43 presidents Barack Obama is the nation's 44rd president but in reality there have only been 43 presidents. 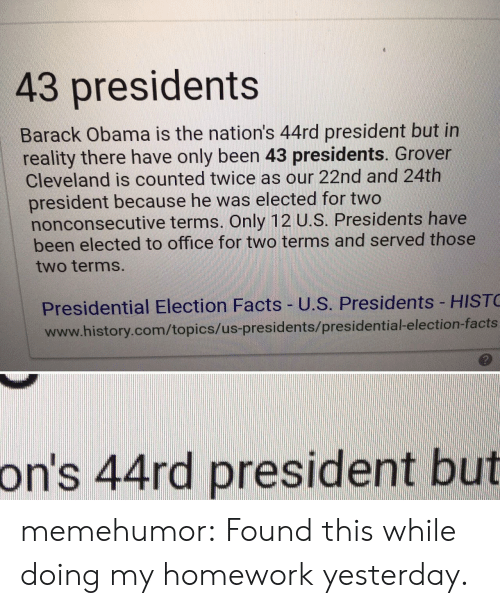 Grover Cleveland is counted twice as our 22nd and 24th president because he was elected for two nonconsecutive terms. Only 12 U.S. Presidents have been elected to office for two terms and served those two terms Presidential Election Facts- U.S. Presidents HIST www.history.com/topics/us-presidents/presidential-election-facts っ on's 44rd president but memehumor: Found this while doing my homework yesterday. 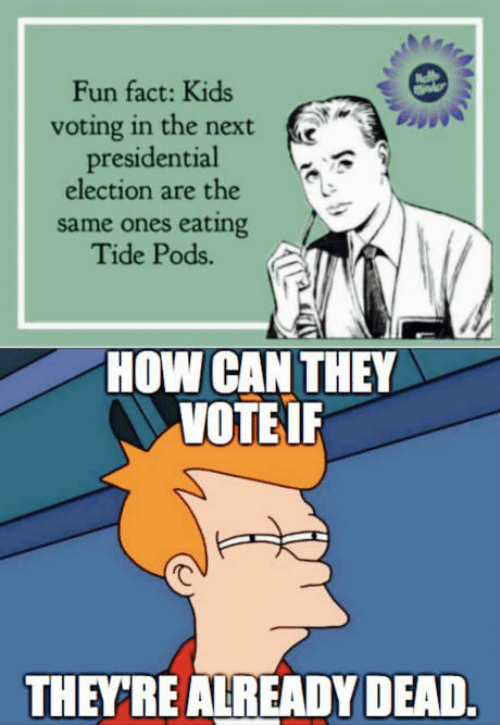 memehumor: Found this while doing my homework yesterday. Computers, Google, and Jail: jesssssSS reminder: this woman leaked proof that Russians hacked into voting machine software, and they put her in jail The Vancouver Sun@VancouverSun Why do millennials keep leaking government secrets? ebx.sh/2ragGeK memor-somnis: weavemama: fuggles: weavemama: she should have been rewarded. Y'all got sources? yeah so more information about this woman who leaked important information pertaining russia’s involvement in the election: Her name is “Reality Leigh Winner” and she was a NSA Contractor. 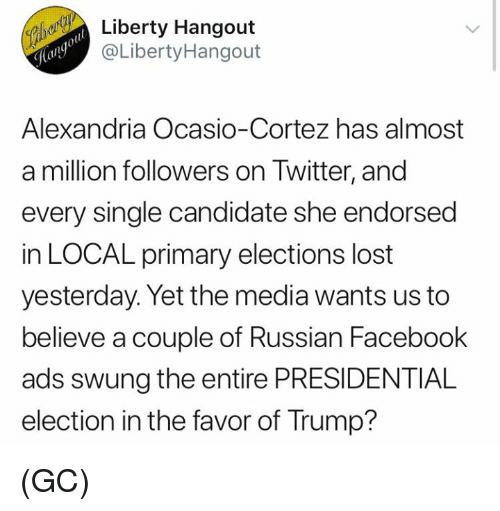 She passed a top secret NSA document to a news source (an article from The Intercept) that contains information about a Russian cyber-attack with one voting machine DAYS before the 2016 presidential election. 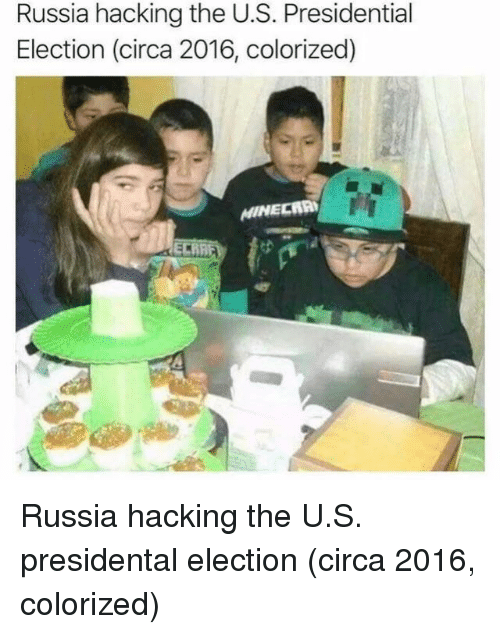 This is considered the most detailed piece of proof regarding Russia’s interference with the elections to date. Here’s how the NSA document described how the Russians did the hacking: “As described by the classified NSA report, the Russian plan was simple: pose as an e-voting vendor and trick local government employees into opening Microsoft Word documents invisibly tainted with potent malware that could give hackers full control over the infected computers. 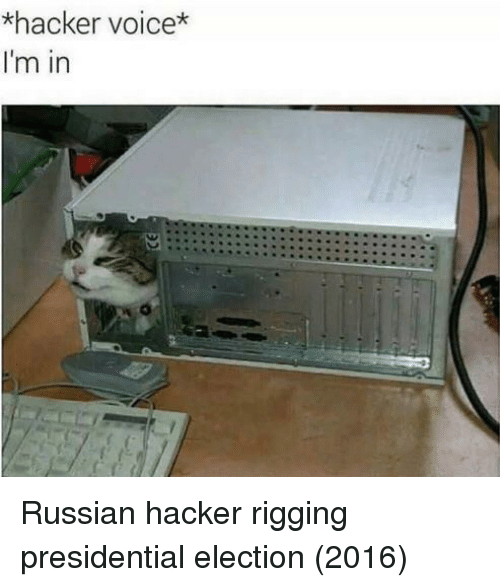 But in order to dupe the local officials, the hackers needed access to an election software vendor’s internal systems to put together a convincing disguise. So on August 24, 2016, the Russian hackers sent spoofed emails purporting to be from Google to employees of an unnamed U.S. election software company, according to the NSA report. 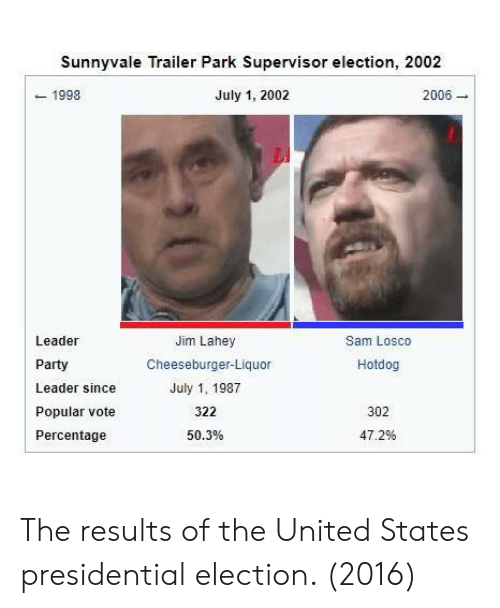 Although the document does not directly identify the company in question, it contains references to a product made by VR Systems, a Florida-based vendor of electronic voting services and equipment whose products are used in eight states. The spear-phishing email contained a link directing the employees to a malicious, faux-Google website that would request their login credentials and then hand them over to the hackers. The NSA identified seven “potential victims” at the company. While malicious emails targeting three of the potential victims were rejected by an email server, at least one of the employee accounts was likely compromised, the agency concluded. The NSA notes in its report that it is “unknown whether the aforementioned spear-phishing deployment successfully compromised all the intended victims, and what potential data from the victim could have been exfiltrated.” So instead of having Trump and his entire party removed, they gon throw home girl in jail and try to act like none of this happened. 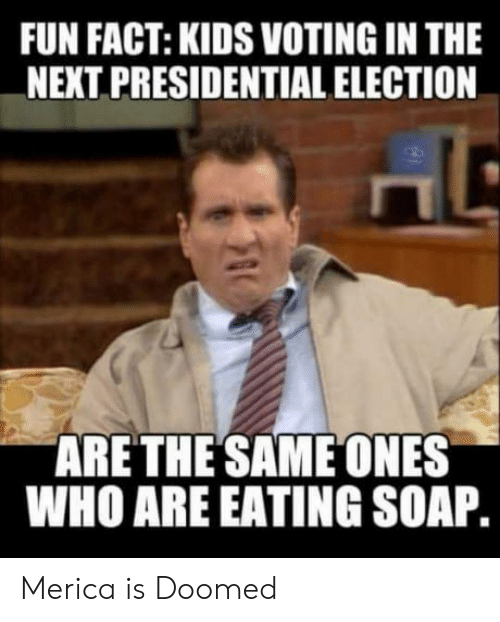 Presidential Election, Oregon, and Time: oh boy! 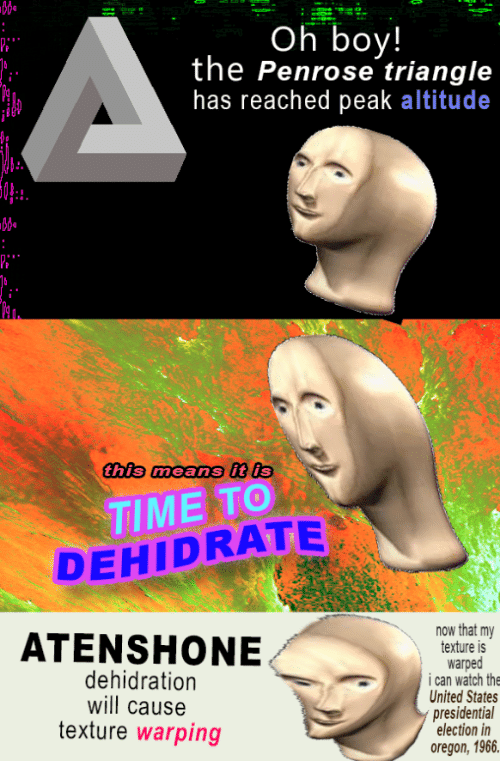 the Penrose triangle has reached peak altitude P" this means it is TIME TO DEHIDRATE ATENSHONE dehidration will cause texture warping now that my exture is warped i can watch the United States presidential election in oregon, 1966.